You've seen them in Filipino horror movies. 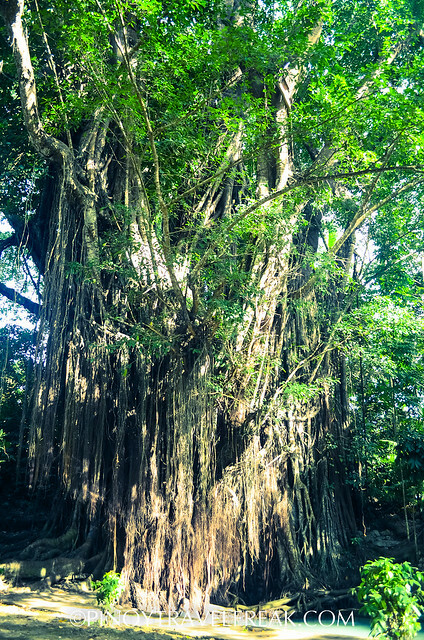 Balete trees, also known as balite or baliti in some provinces, are popular in the Philippines and have been associated with the supernatural. Due to its gargantuan size and entirely bizarre looks, folks believe that it is home to mythical and scary creatures like kapre and engkanto. Not totally planned but I was able to visit the two most popular Balete trees this year, both of which are believed to be enchanted, found in Siquijor and Aurora. 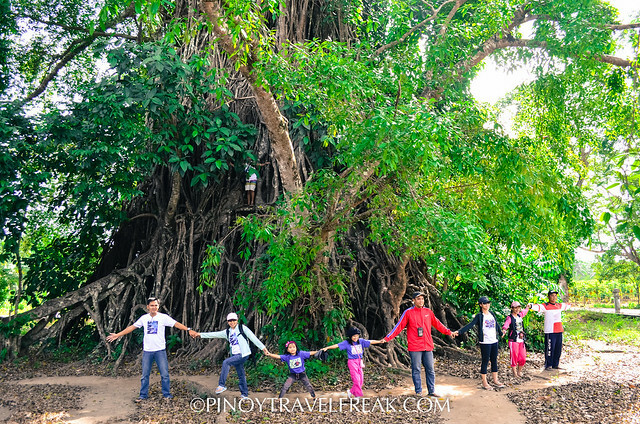 Also called as the Old Enchanted Balete Tree, the tree found in Siquijor is believed to be 400 years old. 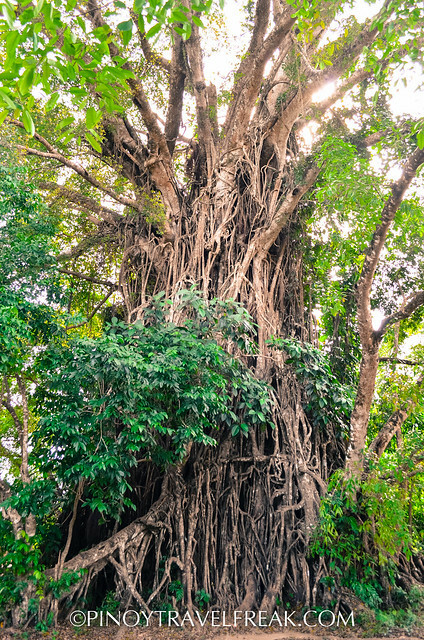 The old balete tree is located in Barangay Campalanas in the town of Lazi and has become a tourist spot for curious tourists who are visiting Siquijor province. Aside from the Filipino folklores such as aswangs and witches that the province is known for, Siquijor became a favorite setting for Pinoy horror movies because of this old, scary looking balete tree. Meanwhile, the famed, centuries-old balete tree (or locally called "Millennium Tree") found in Barangay Quirino in Maria Aurora, Aurora province is believed to be more than 600 years old. If the balete tree in Siquijor is giant, this one in Aurora is monster in size. According to wikipedia, the tree is claimed to be the largest of its kind in Asia. The tree has also become a tourist attraction for those who visit Baler, which is about an hour away from the remote barangay in Maria Aurora. As I was writing this post, I thought I'd been to the top two oldest balete trees in the country until I saw this information in wikipedia, saying that "the balete tree inside the OISCA Farm in Lumapao, Canlaon City, Negros Oriental, Philippines is estimated by botanists from Silliman University to be around 1,328 years old." Wow, a true millennium tree. I just can't imagine its colossal size! 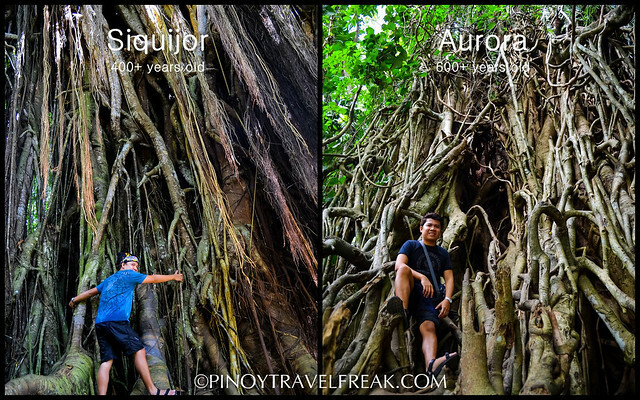 If you plan to visit both of these places, remember that they are more than just the balete tree. In Siqujior, I was amazed at the beautiful beaches that I almost forgot the story behind what the province is known for. On the other hand, Aurora has two amazing waterfalls which can give you that sense of awe and wonder, not to mention the surfing adventure that Baler offers. However, if you're the type person who believes in the paranormal and the supernatural, these places are worth checking out. Halloween is fast approaching. 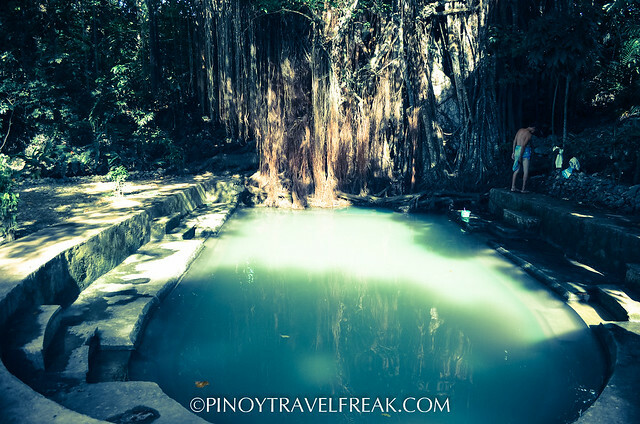 Siquijor and Aurora are two interesting places to visit if you fancy that "kind" of trip. Have you been to any of these places? Do you find them spooky? 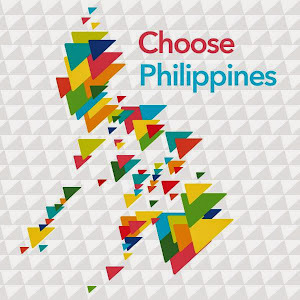 Visit the one in Canlaon City to complete the circle! Thanks for sharing these spooky looking trees, very timely for the Holloween season! One of the biggest balete trees I've seen..Really scary looking!